It’s been said that if you don’t have your health, you don’t have anything. There’s a lot of truth behind that statement, and your health should be one of your top priorities throughout life. Unbeknownst to many people, the feet are actually gateways to healthier bodies, through massage and other therapeutic methods. That’s why getting the best foot massager can help you to actually lead a more enjoyable and healthier life. I want to show you in this article how to find a foot massager that will work well for you. I’ll do that by introducing the features of these massagers and explaining how they affect you, so that you can make an informed decision on your own. Most people do already know about the relaxation benefits of massage, but it’s worth noting anyway. Foot massage can make your entire body feel relaxed and loosen up your tight leg muscles. This is a great benefit if you have a job that requires a lot of standing up or moving around on your feet all day. 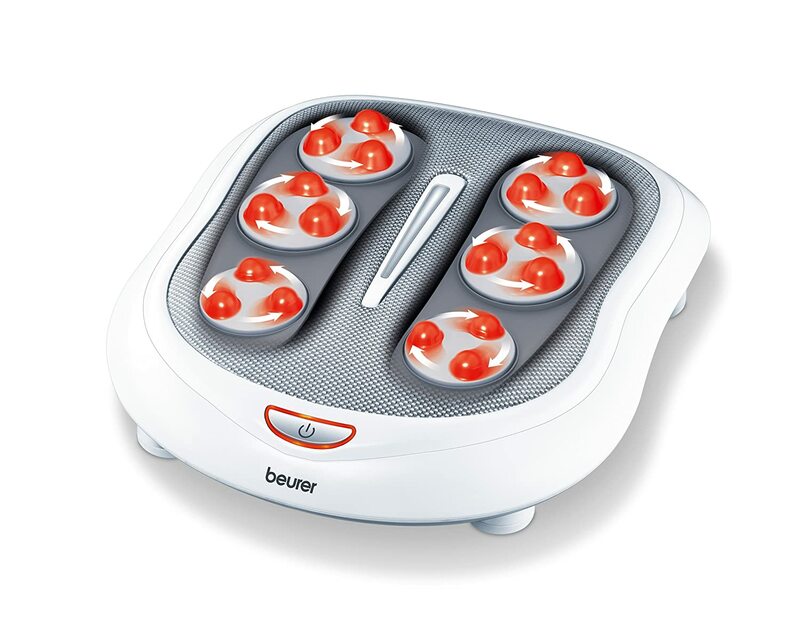 A foot massager will help your feet and legs to relax and heal overnight so you can be fresh again for the morning. Stress is a big issue for many people around the world today, and it probably is affecting you even now. Massage, even foot massage, can be instrumental in relieving stress in your body. The therapeutic and stress relieving benefits of foot massage will have a domino effect on all the problems that stress is creating in your life. It will also help you to avoid future health risks from too much stress. Massage creates a better blood flow in your body and allows your circulation to improve over time and multiple uses. If you have high blood pressure problems, foot massages can actually help you to begin lowering your blood pressure. What do you get when you can help yourself relax, reduce your stress levels, and improve your blood circulation? You get an overall healthier and better quality of life. Those who have had recent medical procedures may start to heal faster, while everyone else will usually become more flexible and happier. Manual massagers are usually rolling type that you can do on your own, anywhere. You simple place your foot on the roller and move it back and forth or around in circles, depending on the shape of the massager. These are great for sore muscles and are easy to use, so they don’t take a lot effort or any energy. Automated machines are not as portable as manual machines, but they can have a lot more nifty and comfortable features. There are different kinds of electric foot massages, which I will talk about next, but they all use one or more basic massage techniques run by electrical power. 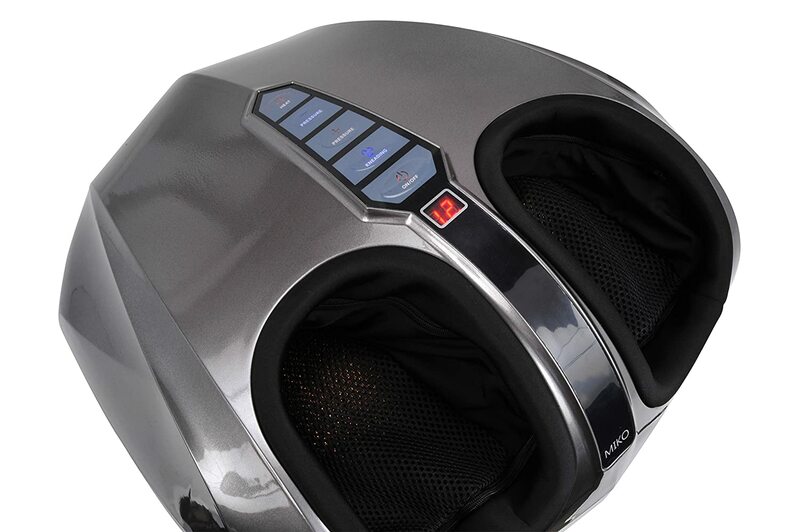 Out of the electric foot massagers available, the main types are the Shiatsu, vibrating, pressure, and kneading massagers. Shiatsu is a type of Japanese massage that’s actually a licensed medical practice within the country. It involves pressure point and finger and palm massage for the feet and ankles. Vibrating massagers work by vibrating a shaped panel that your feet rest on. This loosens up your tense muscles and helps you to feel more relaxed, although it doesn’t always offer the other therapeutic benefits of actual massage. Pressure massagers use air or other methods to put pressure around your foot and massage it that way. Usually your foot is placed inside an enclosed area for this type of massage. Kneading massagers use rolling nodes to carefully massage all parts of your foot. These tend to mimic human hand movements and offer a semi-realistic massage, though not as realistic as the Shiatsu massages. A few of the electronic massagers have built-in heating pads to add that element into the massage mix. Heat is useful for helping you relax even further, and it makes a nice addition to your foot massage routine. If you want to move around with your massager, you’ll need one that’s small enough and doesn’t weight very much. Mostly you’ll find that the manual massagers fit this mold, but some electric ones are also a bit smaller for your convenience. However, you don’t want to give up useful functions and durability for the sake of a lightweight massage. What you might end up with is something too flimsy to work well, so focus instead on a balance between durability and weight. There are a range of options that some foot massager give you that might not be offered on others. If you see anything that’s particularly attractive about one device, factor that into your decision because ultimately you are the one who is supposed to be enjoying it the most! This is a great example of a manual foot massager that’s made to please. It’s built with 10 rollers in a row (5 for each foot), so all you have to do is move your feet back and forth a little bit to get the full effect. The design is made from hardwood that’s going to be very sturdy, so it is safe to say this will last for years. Because of its durability, the company actually offers a lifetime guarantee for this massager. The small size makes it easy to carry your massager around with you. Weight is around 1.6 lbs, so it won’t add much weight to any bag, backpack or suitcase. Because of its size, it’s also good for a variety of foot sizes and isn’t limited to one. You can share your massage health benefits with other by also letting them use this manual massager. Good for a complete foot relaxation time, this electric massager is full of features to keep you comfortable and healthier. Air pressure is applied around the whole foot in each separate chamber, while kneading nodes and rollers work on the bottoms and sides. Vibration is also applied to the chambers, as well as the option for added heating. It’s a little bulk to pack in your bag and carry around with you, but it is a great machine to use around the home or the office. Use it while sitting down at your desk, watching TV on the couch, or any other time you need a relaxing massage. When you’re done with it, you can put it away quite subtly in any storage nook until next time you need it. Another manual foot massager, this ergonomically designed roller takes on your whole foot and allows you to control which parts you want to massage the most. It’s one large, single roller made of a sturdy rubberized material. 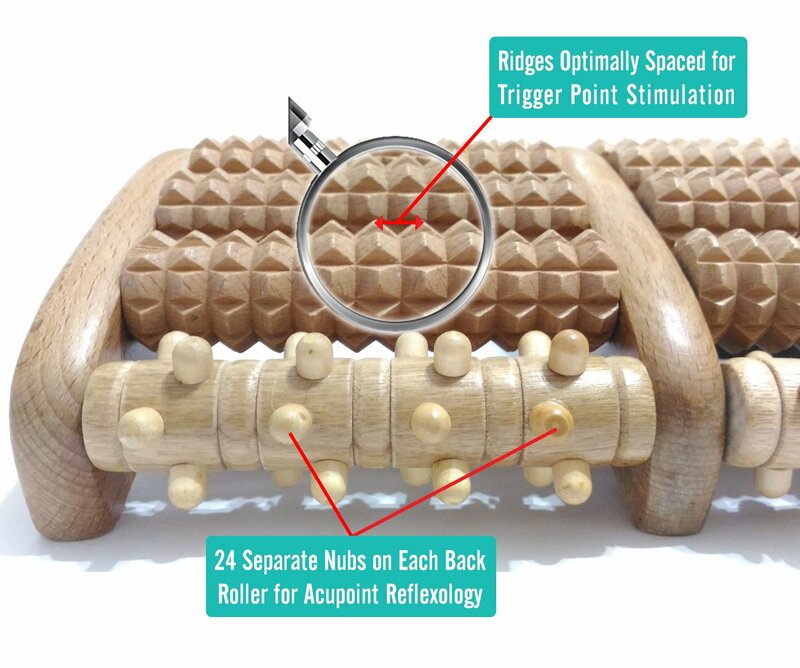 The whole roller is covered in small massage nodes that help to provide a deeper massage for any area of the foot. One of the most convenient things about this device is that it’s so small and lightweight, you can carry around with you anywhere. It’s great for airplanes, home, the office, or anywhere else that you may want to roll your feet and get some relief from foot pain. Nodes on the device are specifically made for deep tissue massage, giving similar benefits as acupuncture therapy for the feet. This electric foot massager operates with a collection of rolling nodes that help to give you a deep tissues massage all over the bottoms of your feet. You can adjust between two different speed settings for a change of intensity when needed. These nodes will massage your entire foot from heel to toes, making it effective for a variety of foot ailments. Surface material that you rest your feet on is a comfortable and breathable mesh, so even if you turn on the optional heating element you won’t get sweaty and uncomfortable feet. When you turn the heat setting on, your tense and tight feet will start to relax even more quickly. Depending on where you’re using this massager, you may need to adjust the height by twisting the legs in or out. You can make it higher or lower altogether or angle it for use in other places. Although this is not strictly a foot massager, it is very useful in that capacity and gives you a few more options for massages than the other listed reviews. This device can be used for shoulders, back, neck, and feet depending on where you need it the most at any particular moment. It uses Shiatsu style kneading massage methods to give you a deeper tissue massage that keeps you relaxed and comfortable for longer. You can up the intensity if you want by turning on the heating element and adjusting some of the massager settings, although you may prefer to keep it at a lower intensity instead. Whether you’re moving around with it or want to store it at home, it’s actually fairly easy to transport and keep tucked away when you’re not using it. As far as what the best foot massager is, I would recommend the Miko Shiatsu electric foot massager. It’s built to make sure you get the full therapeutic benefits of a shiatsu style massage, and it keeps you comfortable while it works. You don’t have to work hard to make it massage you, but it does a great job and tucks rather nicely into storage wherever you are.